Starting 25 October, Norwegian will link Madrid with daily flights to Gran Canaria and Tenerife North, whereas Barcelona will be served to Gran Canaria, Tenerife North and Fuerteventura, and Malaga to Gran Canaria and Tenerife South. 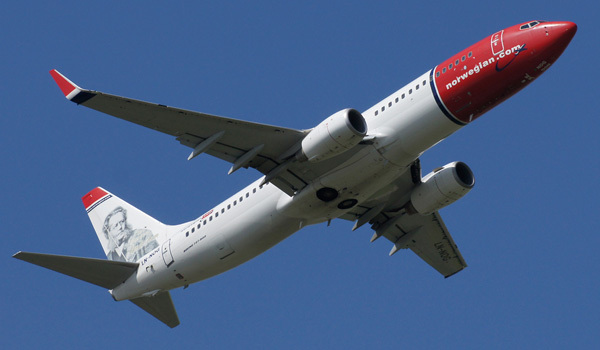 Norwegian will deliver over 10,416 weekly seats into the Canary Islands market, a figure that amounts to over 230,000 seats in the first winter season, thus helping to reverse the downward trend connectivity to the archipelago has suffered over the last few years. Norwegian will be the first airline to offer free Wi-Fi connection onboard Spanish domestic flights. Tenerife North, daily departures. Start date: 25 October. Gran Canaria, daily departures. Start date: 25 October. Tenerife North, four weekly departures, every Monday, Wednesday, Friday and Saturday. Start date: 26 October. Gran Canaria, three weekly departures, every Monday, Wednesday and Friday. Start date: 26 October. Fuerteventura, three weekly departures, every Tuesday, Thursday and Saturday. Start date: 27 October. Tenerife South, two weekly departures, every Monday and Friday. Start date: 26 October. Gran Canaria, two weekly departures, every Friday and Sunday. Start date: 30 October. Norwegian operates one of the World’s most modern and eco-friendly fleets, with an average age of just 4.2 years. On its domestic flights, the airline will fly its new Boeing 737-800s with 186 comfortable, leather seats and it will be the first airline to offer free Wi-Fi on Spanish domestic flights. Norwegian will also offer customers the option to rent movies and TV shows on their personal devices. Having started operations in Spain in 2003, Norwegian is now the country’s seventh largest airline by passenger volume, having carried 4.89m passengers in the twelve months to May 2015. Norwegian operates 133 routes out of 15 Spanish airports, of which six are operating bases (Alicante, Barcelona, Gran Canaria, Madrid, Malaga and Tenerife South), where it keeps one-fifth of its fleet of 96 aircrafts and employs almost 900 people. Since its start of operations, Norwegian has carried over 17m passengers in Spain.